This caliber is an American classic. The .45 Auto (aka 45ACP) has been in US military service since 1911 along with the 1911 pistol. Military use for this caliber may have diminished, but the popularity with US shooters has only risen. 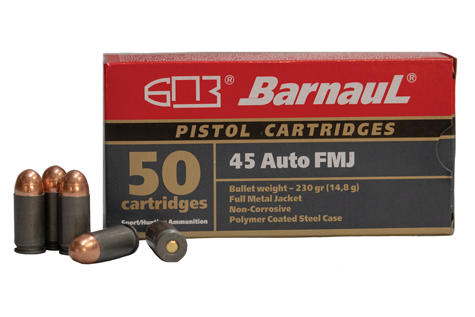 Commonly used in IDPA and USPSA shooting competitions, .45 Auto is also extremely effective as a self-defense round.